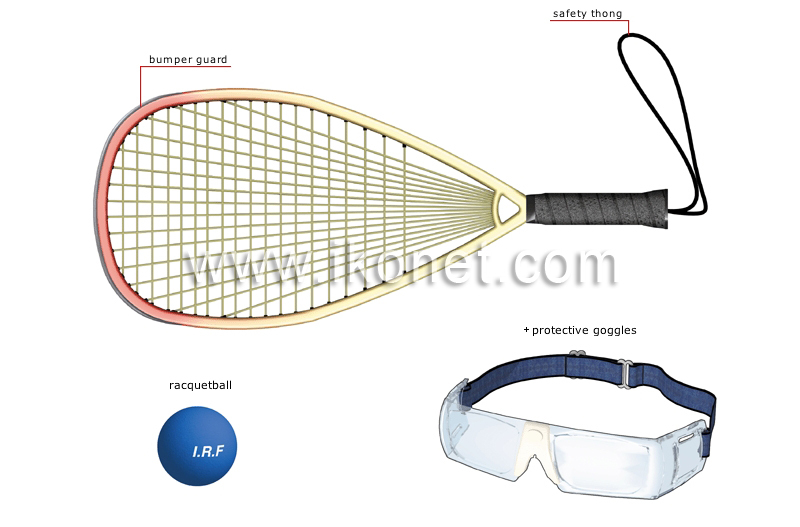 Racket that is used to strike the ball and usually weighs between 150 and 220 g; it has a short shaft, an elongated head and its maximum length is 55.88 cm. Rubber ball that is filled with compressed air and weighs 39 g; official balls bear the initials I.R.F. (International Racquetball Federation).